Dr. Chastain began his pre-chiropractic education in the undergraduate program at Life College where he studied the basic sciences such as inorganic and organic chemistry, physics, along with the basic physiology and anatomy courses. This is also where Dr. Chastain chose to make the most out of his time and education and enrolled in the Nutrition program where he was able to achieve a Bachelors of Science in Nutrition degree that would complement his private practice of chiropractic. 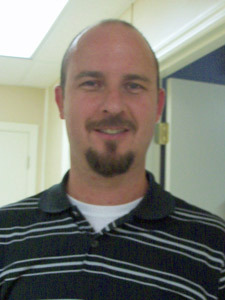 After completing his undergraduate studies, he was accepted at Life College of Chiropractic in Marietta, Georgia. During his four years of study at Life, courses included biochemistry, a major emphasis in anatomy and physiology, X-ray, Diagnosis, chiropractic adjusting techniques, and patient care in three different Life College public clinics in the Atlanta area. In addition, he has completed post graduate studies in pediatric chiropractic care and also sports injury and rehabilitation. “Chiropractic is my passion,” smiles Dr Chastain. “I don’t have to go to work — I love to go knowing that this one day I could see a miracle happen in the health of one of my patients. That’s Priceless! Dr. Chastain has two children, Emma and Will. Both children are active toddlers who enjoy their time with family, friends and getting involved in local events. In his spare time, Dr. Chastain enjoys hunting, fishing, softball and just being at home spending time with his little ones. “I consider myself a doctor who prides himself in being a good listener and hope I have the privilege to meet you in person to discuss your specific health challenge. Give our office a call or click here to email me today.